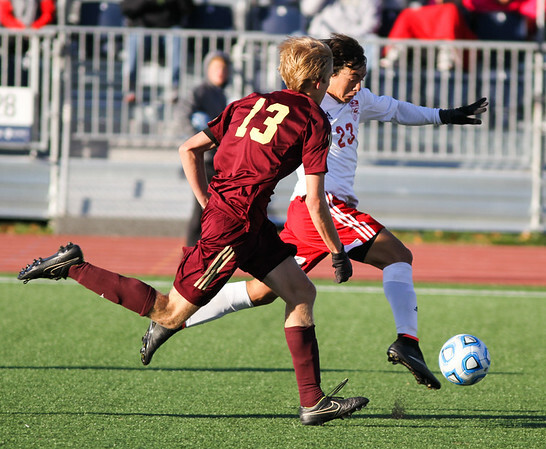 Goshen senior forward Isaac Huerta breaks free towards the goal during the 2nd half of Saturday's 2A Boys Soccer State Championship at Carroll Stadium in Indianapolis. Defending for Brebeuf Jesuit is senior defender Ryan Delaney. Goshen won 1-0.